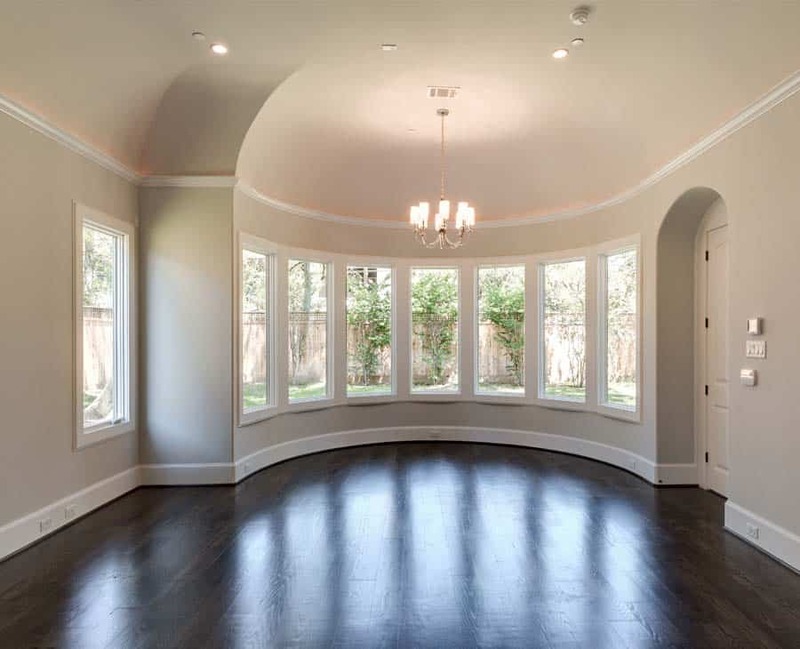 Can You Use Exterior Paint Inside? Prepping walls for painting is essential for having your painting ideas come to live. Even when you have the best paint sprayer, you need to know how to clean walls before painting for the final result to look as polished as a professional’s job. Aside from having clean walls before painting, there is some additional preparation needed when you are using a paint sprayer. This is because the painting techniques when using a paint sprayer is quite different from when you are using the basic brush and roller. Ready to transform the walls of your room quickly with a paint sprayer? 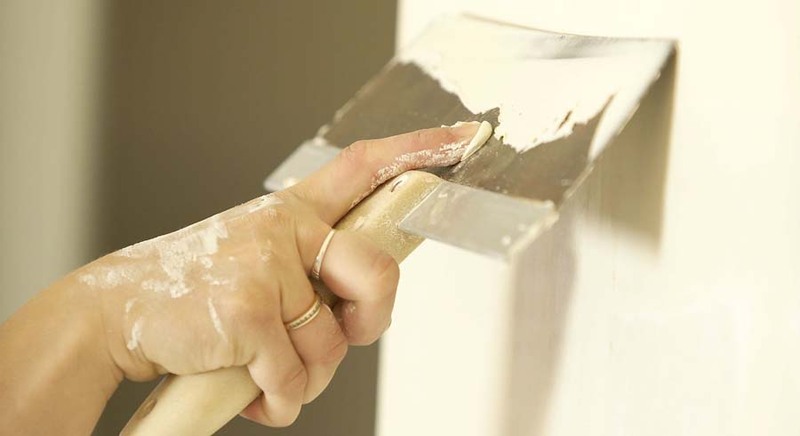 Here is all you need to know about how to prep walls for painting. Once you have gathered all the painting tools you need inside the room, start removing everything else from the room. This includes all furniture, trinkets, electronics, and anything attached to the walls. Sometimes you don’t have the space to move everything from the room or the furniture is too heavy to move far without taking it apart. Cover all the furniture that you cannot move with dust sheets to protect them from paint. Don’t forget to take down the curtains and blinds. These are the most likely to catch paint splatters, especially with more powerful sprayers such as airless paint sprayers. Once the room is cleared and the leftover furniture covered, you can start to clean the walls for painting. Properly cleaning the walls helps the paint stick better and avoids ugly bumps and streaks from dust and dirt. The first step is to dust down the walls including all the windows and other wall fixtures. Unless you have a very high ceiling, you can do this without a ladder by using a duster with a long handle. The next step is washing walls before painting. The best cleaning agent to use is sugar soap because it can get rid of old stains and marks. Always wear gloves when you are handling sugar soap because it is quite a strong paint remover. Read and follow the instructions provided on the sugar soap bottle. 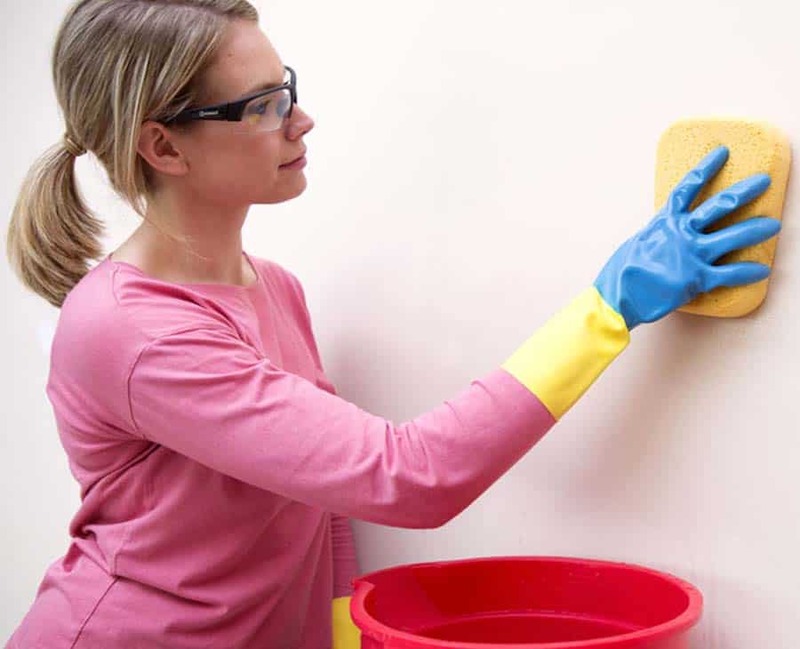 When washing walls before painting, make sure that you are not using a soaking wet rag or sponge. The rag or sponge should be moist but not so wet that the water comes dripping down the wall because this can damage the wall. Let the cleaning agent soak into the walls for a few minutes before wiping it away again with a new clean moist cloth. Again, remember not to have the water dripping down the walls. If the wall is still in excellent condition, you can start painting after the cleaning. However, if there are any cracks, bumps or stains then you need to deal with them first. 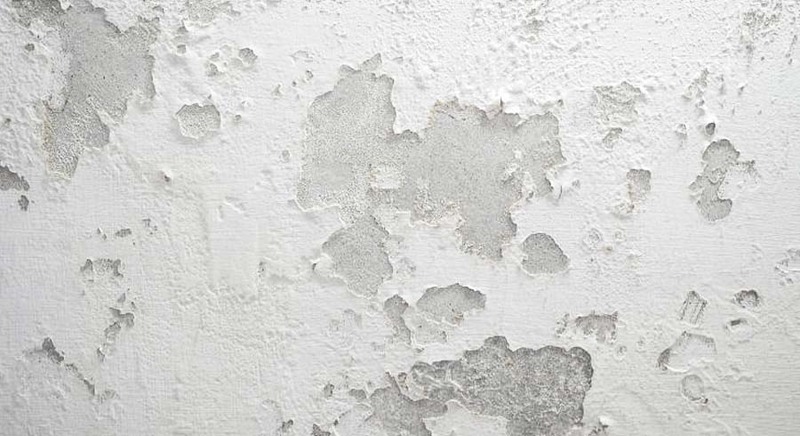 You can cover wall stains with the same stuff you use as a filler for cracks. There are also base coats available at the hardware store to specifically cover up stains. The wall surface makes a lot of difference in how well the paint adheres and how even the color is on the walls. This is why it is important to fill in cracks and remove raised surfaces on the walls. Filling in cracks is not as difficult as it may seem. The first thing to do is to file away any loose plaster to get a smooth surface around and in the crack. You can easily purchase wall sealants from the hardware store. Most types are a simple matter of squeezing out the filler, spreading it evenly over the crack and letting it dry. Make sure that the filler creates a surface that is as flat as possible. For a more precise method, spread the sealant slightly raised above the plaster so that you can sand it down evenly once it has dried. It’s best to use a filler knife to spread the goop because it lets you make sharp cuts and push it down to be more compact. A compact filling is important because you don’t want it to crumble nor push out of the crack. Once all the cracks are filled, get to sanding down the walls. You can opt for not sanding the walls but the slightly rough surface helps the paint adhere better. You can do this manually with a piece of large sanding paper. 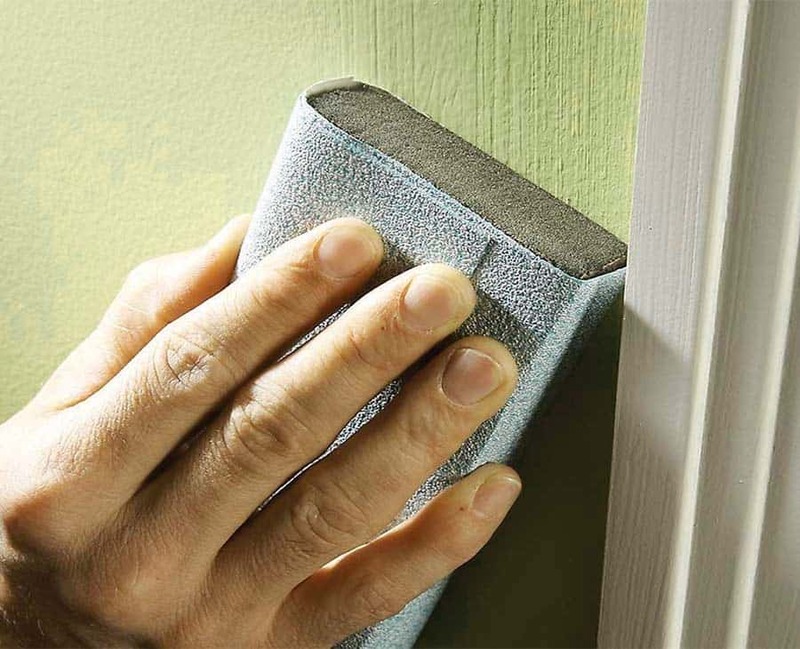 While you are sanding the walls you can also use the sanding paper to get rid of any raised bumps on the walls. When the walls are cleaned, filled in and sanded, you can start on the final preparations for painting interior walls. These last steps are safety measures to prevent the paint from splashing on anything it should not splatter on. Cover all the furniture you haven’t covered with dust sheets yet and do the same to the floor. If necessary, you can tape the sheets together with masking tape. Cover all the switches, fittings, door handles, sockets and woodwork that won’t be painted with masking tape, too. Don’t forget to cover the ceiling light as well. Replace the masking tape after each layer of paint you apply to prevent the paint splatters from hardening on the masking tape. 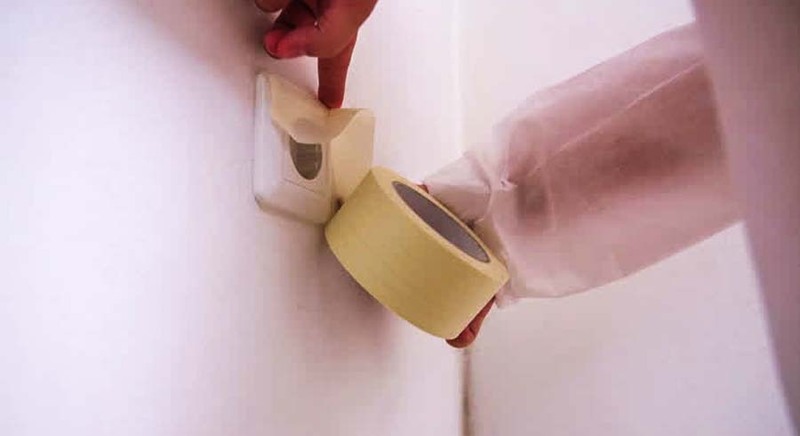 Hardened paint makes it difficult to remove the masking tape which in turn can damage the new coat of paint on the walls. If you plan on using exterior paint inside, you need to ensure you have more than enough ventilation in the entire house. Once you’ve followed these steps you can bring out the paint sprayer. Make sure that all windows and doors are completely shut because any wind or draft can affect how the paint sprayer spreads the paint over the walls. For the past 9 years, I’ve worked as a professional paint sprayer on both small home projects and large commercial buildings. Now I enjoy an early retirement testing the latest paint sprayers that hit the market and reviewing them here to help you find the best one for your own unique needs. @2019 - paintsprayerguides.com All Right Reserved.